Nubian aloe is a native of Eritrea and Ethiopia. It has become naturalized in South Africa. 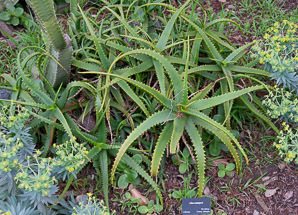 Identification: These aloes have a short stem and reach 24-36" (60-91 cm) in height and up to 24" (60 cm) around. 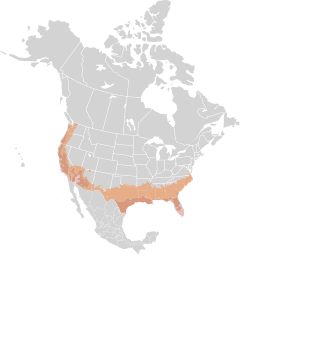 They often form colonies. Leaves are dark green, with white flecks near the stem on the leaf undersides. Flower spikes are densely covered with pale shades of pinkish to orange, opening to yellow. Flowers may also be a uniform salmon orange color. They appear in April to May. See also the Aloe comparison table. 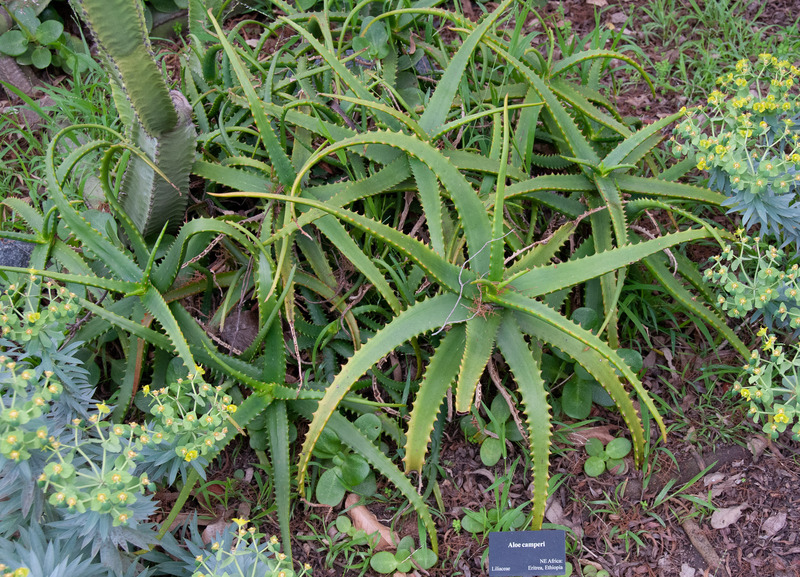 Aloe camperi description by Thomas H. Kent, last updated 12 Oct 2018.